Making a wide variety of processed would be a fun and enjoyable challenge. This activity will become easier and we can get the perfect result if we know the proper use of wheat flour for every processed food that we make. Therefore, let's recognize a wide variety of wheat and wheat flour as the main raw material to manufacture. Endosperm is the main part and the largest component of wheat is made into flour. Total endosperm components for each grain of wheat reached 83% share. Endosperm contains carbohydrates, protein (gluten) and are slightly oily. Bran is better known as chaff in Indonesian. This part is the outer portion of wheat that consists of seven layers and cover up to 14.5% of the total part of every grain of wheat. 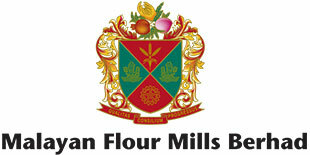 Additionally, Bran contributes to the establishment of the texture, color, and fiber in some specific types of flour. Germ is part of wheat that has a high fat content. This part is the deepest as well as the smallest grain of wheat, making up about 2.5% of the total components. Because of the layout and content of fat, germ into a wheat crop of new shoots to develop. Hard wheat is a type of wheat that's popular and the most widely cultivated in the world. This type of wheat has a high protein content making it suitable as a main ingredient of bread and yeast. This grain has a hard seed, red-brown bran with a high water absorption. Unlike the hard wheat, soft wheat has a yellowish-white, soft yielding seed, and has a low protein content and water absorption. Due to its characteristics, this type is suitable to make cakes, pastries and baked types of processing for biscuits, crackers and cereal. Among other types of wheat, durum wheat is the hardest wheat by seed, has a yellow endosperm and high protein content. Durum wheat is the best type of wheat to create a variety of pasta. Bungasari produce an assortment of variants in accordance with the type of wheat flour or refined variations that we want. Time to innovate!